Offering you a complete choice of products which include elevator bucket bolts (stainless steel), alligator steel belt lacing, emery wheel dresser cutters, moto type grease steels, collar rings and plumber blocks. 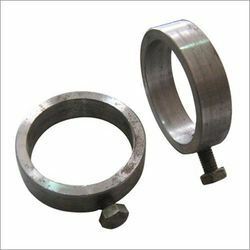 Being one of the prominent names of the market, we are engaged in proffering Elevator Bucket Bolts (Stainless steel and mild steel )that can be acquired in multiple specifications. Due to the accurate dimensions, rugged construction, high corrosion resistance and longer functional life, these bolts are widely applauded. 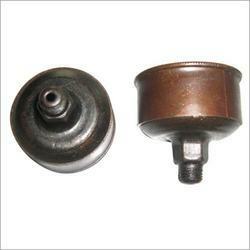 Elevator bucket bolts are provided in tamper proof packaging. Alligator Steel Belt Lacing are Manufactured and Supplied by us in different specifications. 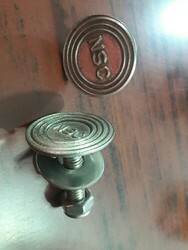 These are one piece fastener strips, which ensure that no loose pieces are out of the belt and into the transferred product. Precisely designed and developed, these steel lacings are highly demanded for their tough construction and reliable performance. We offer the range at low prices. 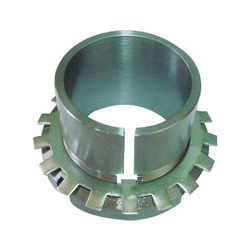 Emery Wheel Dresser Cutters are Manufactured and Supplied in numerous specifications to meet diverse client needs. Manufactured in accordance with the predefined industry norms, these cutters have sharp edges for fine and precise cutting. Proffered collection is vastly popular in the industry for its tough construction, longer life and corrosion resistance. National Sales Corporation is a renowned name in the industry that Manufactures and Supplies Moto Type Grease Steels. Manufactured in accordance with the predefined industry norms, these products are highly durable and sturdy in construction. Proffered series is examined for its quality and flawlessness before the final dispatch. 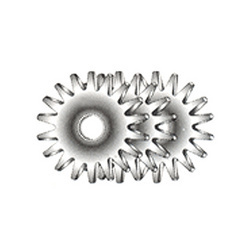 Being one of the prominent names of the industry, we are involved in offering a vast collection of Collar Rings. Manufactured from supreme quality alloys, these are capable of withstanding extreme working conditions. Owing to the dimensional stability and strength, the proffered range is used construction purposes and pipe supporting industry. 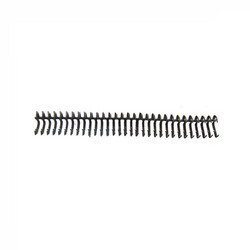 These are used for increasing torque capacity and durability. We are among the prominent names of the industry that Manufactures and Supplies a wide collection of Plumber Blocks. Widely used in heavy-engineering industry and automotive industry, these ruggedly constructed blocks are highly admired for their longer functional life and corrosion resistance. These can be availed in numerous specifications to fulfill diverse client needs. 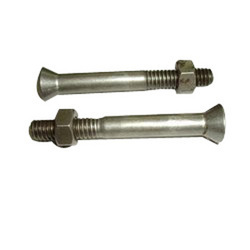 We are one of the celebrated Manufacturers and Suppliers of a wide collection of Cheera Bottom Bolts. Owing to the dimensional accuracy, longer functional life, rugged construction and ease of installation, these bolts are immensely popular. These are capable of withstanding fluctuating pressure. Construction, engineering and process industries are the application areas. 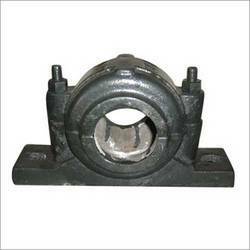 We are a preferred Manufacturer and Supplier of an extended assortment of Crusher Sleeves. Made available in multiple specifications, these ruggedly constructed and highly durable sleeves are giantly applauded in the market. Crusher sleeves are examined for their perfection before handing over to the clients. Looking for Rice Sheller Parts ?